This is an 11" 16 shoe Spartan. It has a cherry rim and a cherry neck. As with all of my rims, it was made here in the shop. The tone ring is 1/4" rolled brass. 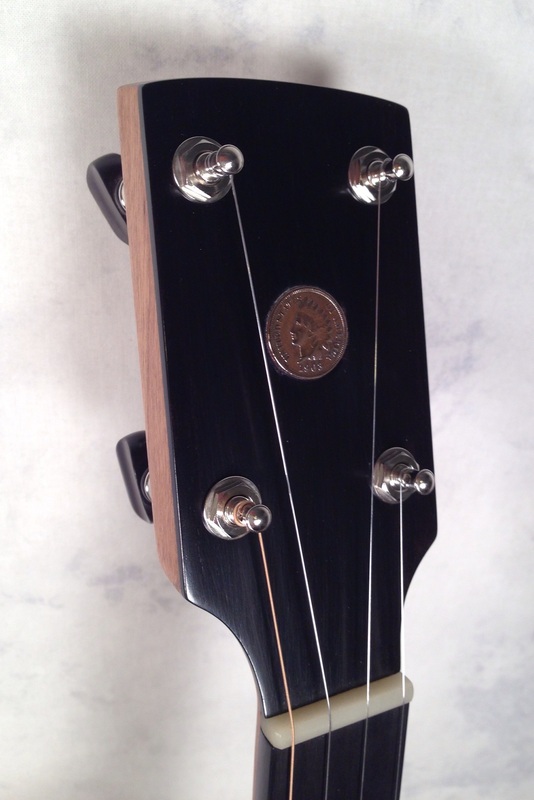 The tailpiece is a raw brass no knot. 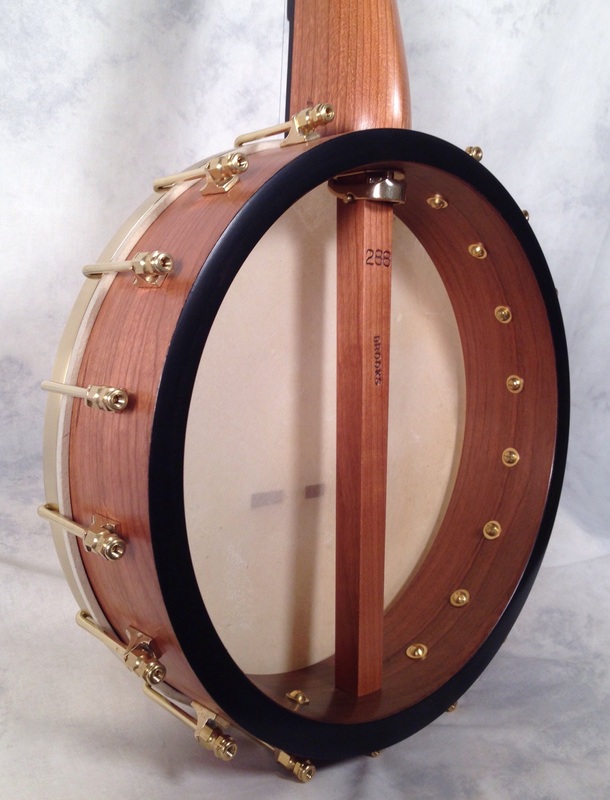 This banjo is headed to Vancouver, BC.